Honey, Happy 4th wedding monthsary, even if we are already married it is still nice to celebrate the day we became couple. Thank you honey for loving me more each day, for striving hard for our future, I’m super duper proud of you, for never failing to put a smile on my face, for the simple yet happy life we are having. I am not only lucky to be your wife, I am blessed. A lot has changed, wedding magazines and brochures are out and home designs and baby books are about to in soon, from a single career driven me to a full-time happy wifey, you know what it’s the best job I had so far and I love and super excited to be promoted to a wifey-mommy someday (sana soon na..). Honey, I hope I am doing well, do you think i am doing pretty well? Tell me the truth, please! I really love how you appreciate all my prepared meals, kahit na minsan paulit-ulit na sya.. I love seeing you everyday as I open and close my eyes, I love greeting you home with a warm hug and kisses, I love seeing you eating my cooked meals, strolling for grocery for 2 hours, I love the way we laugh at each other's joke/stories/etc (never a day passed without any laughing – comedian ata napang asawa ko eh.. Hihi), I love starring and resting my head on your arms kahit na ngalay ka na sa bigat ng ulo ko, I love the feeling of security and contentment but the best part and most important is I love thanking God everyday for you and that never changed nor forgotten even if it is our 76 months together, even more I needed to thank God for everything. I loveyou honey and I will love you for the rest of our lives. 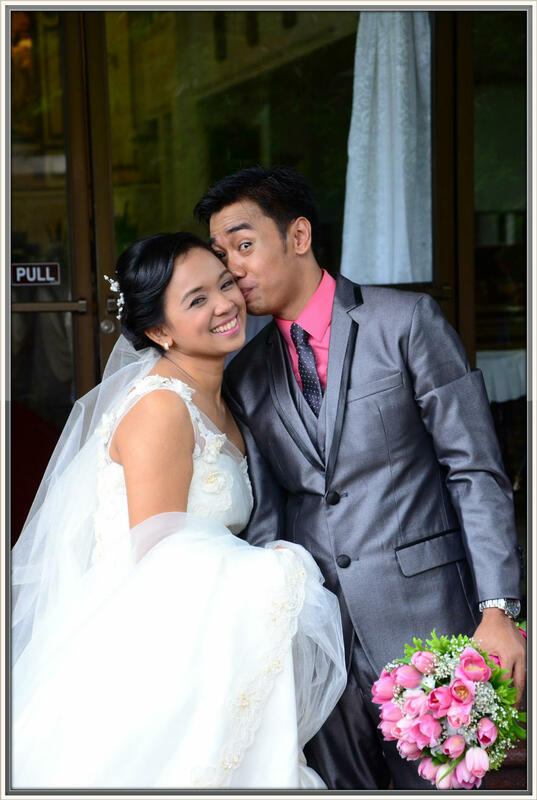 Happy 4th Wedding Monthsary Honey!